How can it be that Christmas was almost a week ago? I am so sad and totally not ready for the holidays to be over. Is anyone else with me or what?!? I mean, I feel like the holidays just FLEW by. Ahh they did, but I guess that’s life. I have so, so, SO many stories to share from Christmas. We had some drama (maybe a lot…), a lot of laughs and a pretty great time. My cousins had to leave early this year due to a New Year’s Eve wedding, so it’s looking like a pretty quiet, Mexican food filled New Year’s Eve over here. How about you guys? Any super fun plans?? I hope it’s something a little more exciting than what I have going on, cause you know I’ll probably be in bed by eleven. Sleep has been calling my name lately. Did I tell you that on Christmas Eve I was so looking forward to having my one morning of the year where my alarm was not set. I slept at my parent’s house that night with Little Miss Asher, who on any other given day sleeps in waaay after I am up. But of course, Christmas has its own set of rules, and at 4 am Asher was raring to go asking how much longer until the sun came up. Needless to say, extra sleep was not one of my Christmas presents! Anyway, let’s chat a little about this post. Originally, I was going to do a round-up of the most popular posts in 2015, but I dunno that felt kind of boring and impersonal. 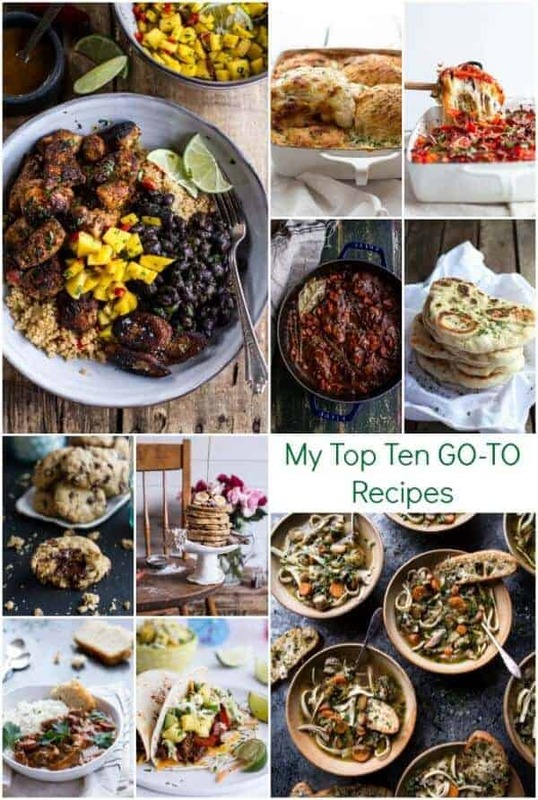 But then I was inspired by my friend Lindsay of Pinch Of Yum to share with you guys my top ten GO-TO recipes, what a great idea! So just what does that mean? Well today I am sharing the recipes that I make the most. The ones made over and over, again and again. That’s not to say that I don’t LOVE all the other recipe on the blog, or that these top ten are my all time favorites, it’s more just that these are the recipes I can easily make in a moments notice and/or the ones that I know will be a hit with whomever I am serving. So… my GO-TO recipes!! Picking just ten was a little hard, but I picked them based on how much they have been made in my kitchen over the last year. OKAY. So enough rambling, here they are! 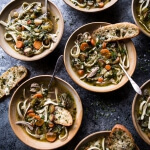 I know I only just posted this recipe last week, but I have been making this soup for weeks now. 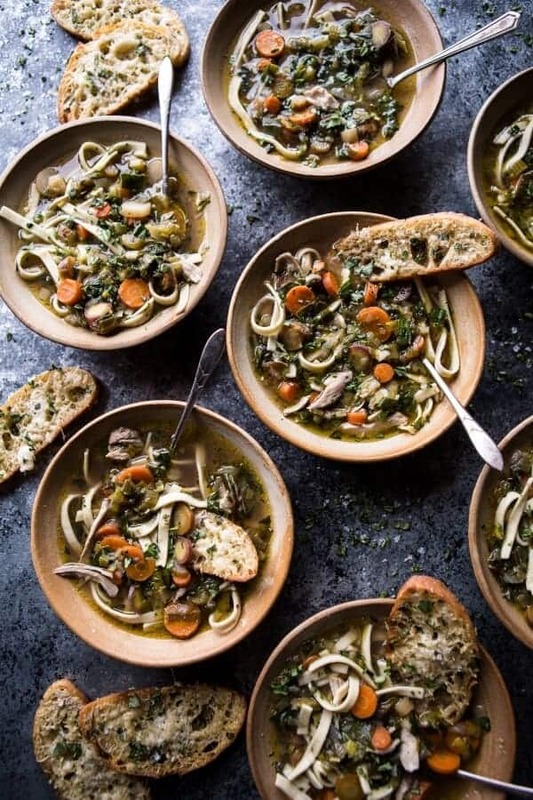 This soup is perfection in a bowl. It’s colorful, healthy, AND cozy, plus full of noodles and veggies. Totally my kind of food. It’s also pretty simple, quick to prepare and you can use whatever veggies you have on hand to adapt it to the season! 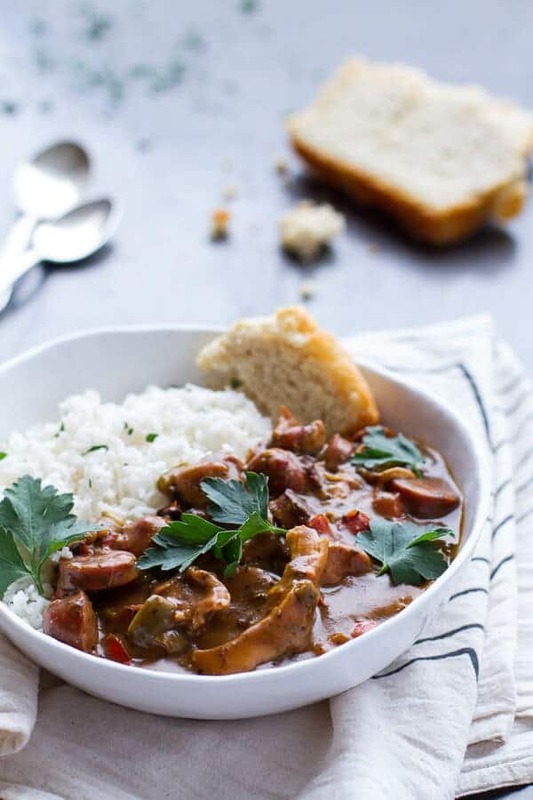 This gumbo is one of the most loved recipes. It’s the recipe I pull out when I need to impress people and not be stressed at the same time. 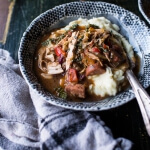 This gumbo is ALWAYS a hit. My family absolutely loves it and I make it whenever I’m serving a bunch of people. I always make it at least a day before I plan to serve it though, because this is one of those dishes that just gets better and better the longer it sits. If you’re not a fan of spiciness, just tone down the amount of cayenne pepper in the recipe. OH, and I always serve it with rice and beer bread. I make this at least four times a year. It’s my special occasion or “big group” meal. No one is EVER disappointed when I serve this. It’s pure comfort food and utterly delicious. You can make your own homemade noodles or simply use store-bought, either way the lasagna will be amazing. OH man, this bread. I should really just let my mom tell you about this bread because it’s her FAVORITE. Every time I make it she does a little happy dance. Honestly, you have to make this bread to know just how amazing it is. One bite and you will understand. My dad has been making this pasta for as long as I can remember. It’s MY comfort food. Like I would pass up mac and cheese and other crazy delicious meals for this pasta. Yes, it’s that good, and the huge bonus is that it is SO beyond easy. 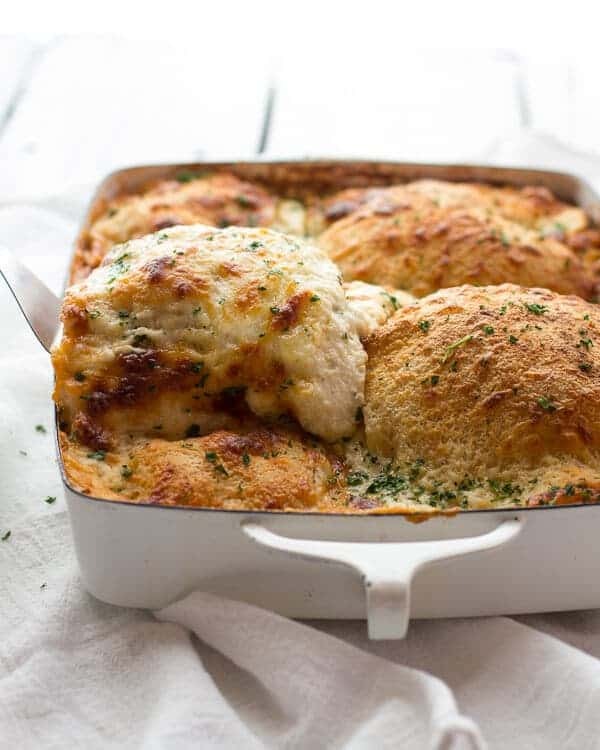 Throw everything in a pan, add tons of cheese and BAKE! These bowls are healthy, loaded with flavor and texture and full of all the things I love. 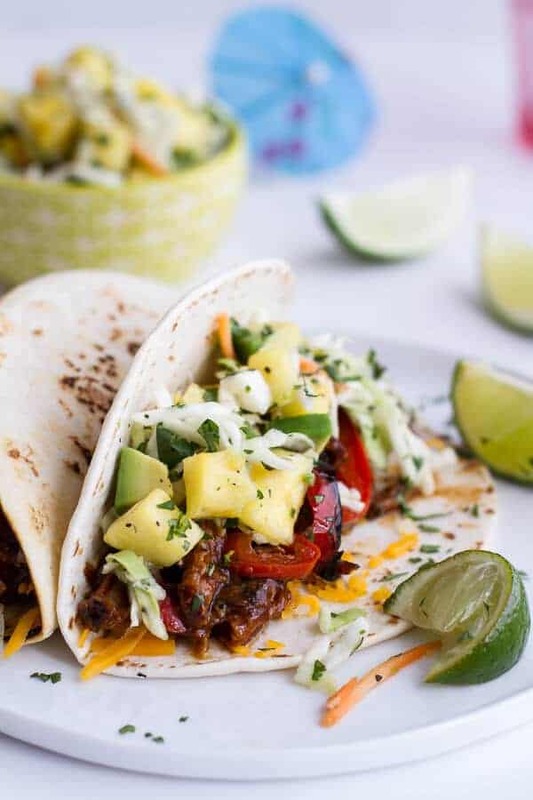 They are tropical, yet cozy and simple to prepare. You really cannot beat these bowls. Perfect for a weekend or a weeknight, and don’t let the long ingredient list scare you away, I promise, this recipe is not that intense! Again, this is another show stopper, easy meal that comes together quickly and packs in the flavor. I actually just made this over Christmas for all twenty of us and everyone was in agreement that this recipe NEEDS to be in the regular rotation, it’s so good. Well, I mean, you know this HAD to be included. I think it’s pretty obvious that I adore tropical flavors, and well, of course any tropical fruit. I go through a couple of pineapples AND mangos a week. <–TRUTH. I make these fajitas all the time. Sometimes I’ll swap in chicken if I either don’t have pork or simply don’t have time to slow cook. When I can though, I try to use pork because it never fails. The sauce, the salsa, the rice… SO much yumminess! My go to pancake recipe. Chocolate chips, bananas + ricotta. Enough said. Mom has been making these cookies on a twice weekly basis since I was a kid. Hands down these are the best cookies in all the land. ONE bowl, ZERO chill time and not even that bad for you. I know, I know. Almost too good to be true. I promise though, all the hype is SO true. Sometimes I’m slightly embarrassed by this recipe, but then I get over it. Really, I probably make this the most of all the recipes listed above. It is just SO insanely easy, plus SO insanely good. You can’t beat this appetizer. Make this… you will be so pleased! Now you guys, on to serious stuff. This is my LAST post of 2015. Ahhh, this is both scary and exciting. I have so much coming up in 2016 that I am pretty nervous, but at the same time SO excited. I am also beyond excited for this January’s recipes. Starting this Monday, we are talking total health food. Don’t worry though, it’s Tieghan approved health food, and I promise, it’s going to be SO good… I am pumped! I’m talking greens, juices, seafood and even a little cheese, a little pasta and a little chocolate…cause life would be boring otherwise. Soup, pasta, and chocolate are my go to foods. Thanks Nancy! The book is coming along great! Happy New Year! Thanks Lynne! Happy New Year! I need to try those choc. chip cookies. My husband loves chocolate. Thanks Charlotte! Happy New Year! 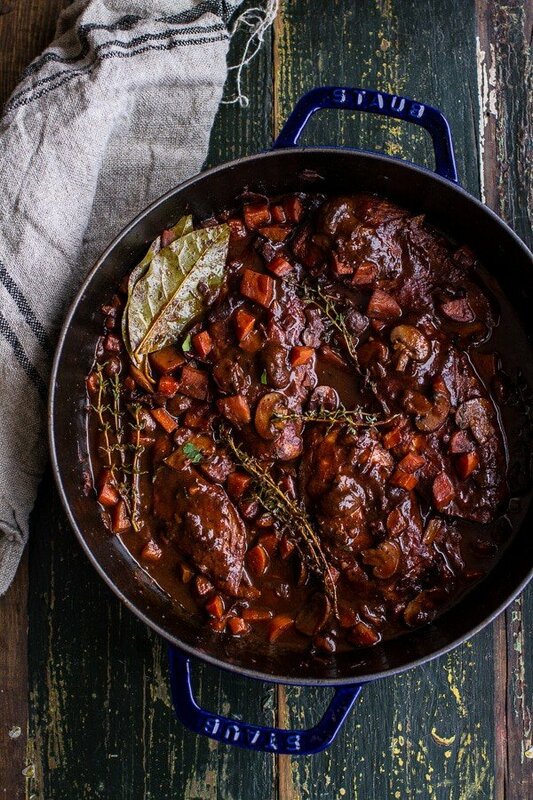 I loved the coq-au-vin when you first posted it, made it often and then got distracted. I’m so glad to see it-it just may be our New Year’s Eve supper. Best wishes for 2016! Hope all your wishes come true! We are making the 3 Ingredient Blue Cheese Appetizer tonight along with the other usual suspects. Looking forward to 2016 & lots of yummy recipes. My favorite is “Dad’s Friday Night Pasta Dish”. It’s a little hard to make, but the flavor it’s amazing. So happy I found your wonderful blog. I love reading your stories – always makes me feel happy! It’s called Tieghan Tonic! Thanks Lindy! Happy New Year! Thank you so much, Beatriz!! Happy New Year! Yes to go to meals. These looks so good. I am pinning the Cuban chicken now! Thanks Emily!! Happy New Year! I have made the Cuban chicken several times. It’s absolutely delicious and so full of flavor. It’s a little bit of work but so worth it! Thanks Sue! Happy New Year! Happy New Year to you and yours and keep up the wonderful blog, your recipes are interesting and delicious! Thank you so much, Judy! Happy New Year! You have so many amazing recipes, it must have been hard to pick! Let alone the incredible inspiring photos to go with each and every one of them! Happy New Year! Thank you so much, Shel! Happy New Year! That cuban chicken has been on my list of things I want to devour for too long. Glad to know it is also a favorite of yours! I have been meaning to put together a list of recipes I use over and over from my blog as well. Thanks Erin!! Happy New Year! 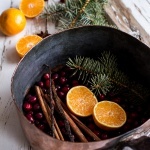 I just discovered this blog days before Christmas and have yet to make it through all the wonderful recipes. I can’t wait to try many of them out in 2016. I get really depressed this time of year with the holidays being over, and reflecting on yet another year that flew by (does this happen to everyone?). I am looking forward to making 2016 even better and can’t wait to see what this blog has throughout the seasons, especially when we get into fall… but back to years flying by, I won’t wish 2016 away just yet. Thanks for such an incredible source of food inspiration! I am the very same way this time of year!! I totally get it! Thank you and Happy New Year! I have made your naan several times (husband does the happy dance as well) with cooks illustrated’ chicken tikka masala- always perfection. I loved the coq-au-vin too! Looking forward to trying others from this list and can’t wait for your book! EVERYTHING here looks worthy of a NYE’s party! 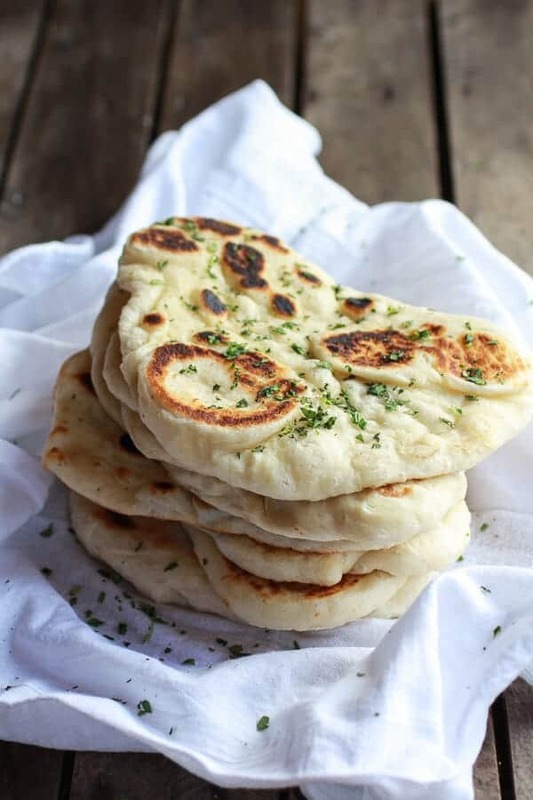 The naan bread looks so soft and fluffy! Thanks Cassie! Happy New Year! Thank you so much, Danielle! Happy New Year! Thank you for all the delicious recipes you share with us. I am always impressed with whatever recipe I have tried, and your photos and writing skills are brilliant as well. Keep it up and may 2016 continue to bring you many more wonderful opportunities that will showcase your talents and enable you to grow beyond your wildest imagination! Thank you so much, Melissa! Happy New Year! 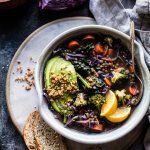 I absolutely adore all your recipes and photos and it is always such a pleasure to browse your blog! Can’t wait to see what’s in store for 2016! And how did I not see those brown butter sage mash potatoes! Those look insanely good! Thank you so much, Linda! Happy New Year! Beautiful year in recipes and photos!!! Looking forward to seeing everything you share next year!! Happy New Year, Tieghan! Thank you so much, Deborah! Happy New Year! Your Cuban chicken recipe is one of my go-tos as well!! Cheers to a wonderful 2016!!! hehe! Thanks! Happy New Year! I’m looking forward to a whole new year of your stand-out recipes. 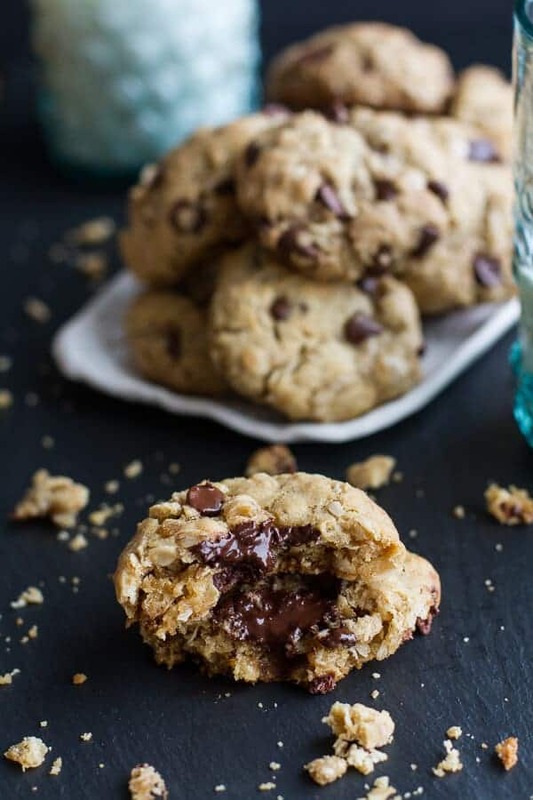 Those chocolate chip oatmeal cookies look soooo good! Thanks Payton! Happy New Year! Thank you for a wonderful year of recipes. I look forward to the next. Happy New Year everyone! Thanks Kati! Happy New Year! Thanks Amy and happy New Years! Oh my life this list! I’m drooling! 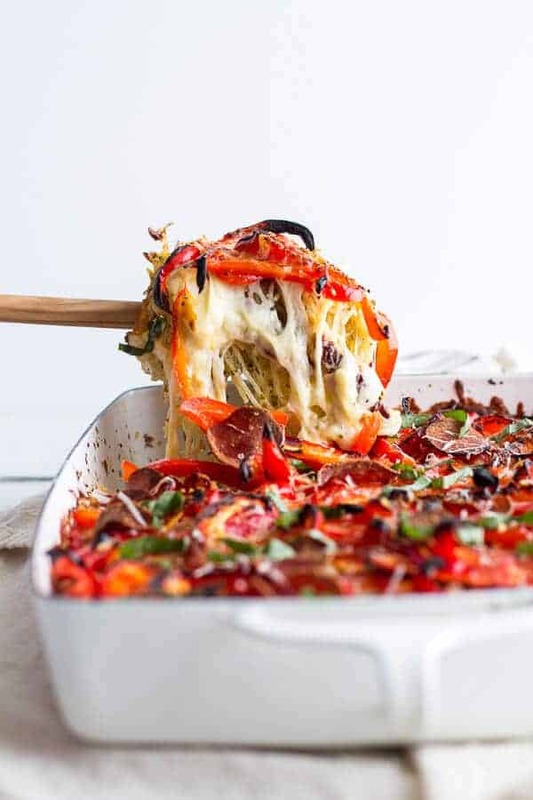 I’m testing out no dairy for the New Year but that lasagna, my gosh! Definitely making it when my silly “test” is over with 🙂 Happy 2016! Thanks Jessie and happy New Years! 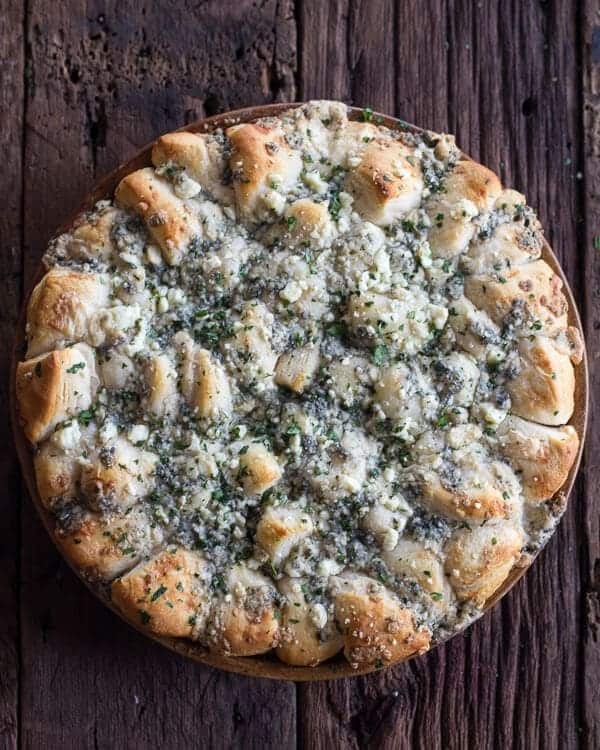 I honestly want to try all of these really bad, but since you recommend it so highly I’ll have to make the blue cheese bread on top of my list for this year! Yes, do that! It is delicious! Thanks and Happy 2016! Thanks so much, Fiona! Happy New Year! Hope you had a great New Year’s, Tieghan! I want one of everything ;). Thank you and Happy new Year! 🙂 Hope you had a great break! 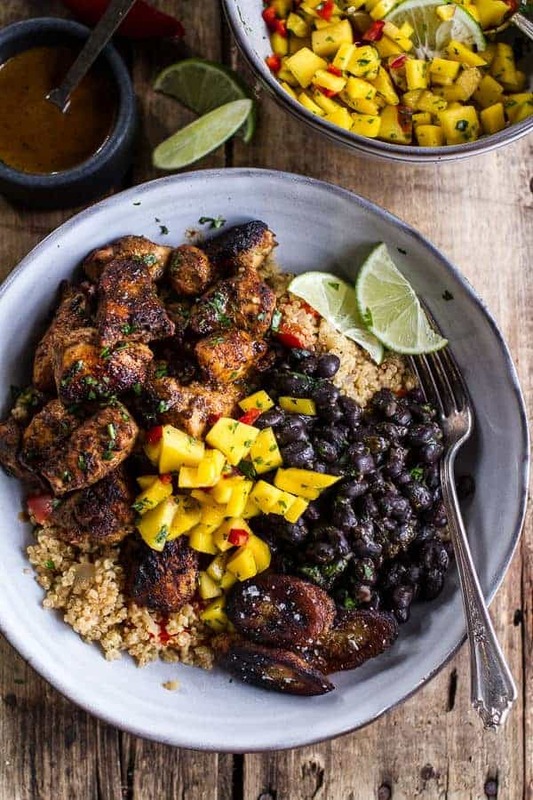 Oh, wow, I am kind of surprised of what you have in your list 🙂 Maybe it’s because I’ve been your follower for over a year now, and by now I have my own “go-to” recipes that I cook all the time, all from your site 🙂 Like Miso Zucchini bowl and maple glazed salmon.. I think I cook those 2 ones a week.. for a year now 🙂 Oh, and the pomegranate pumpkin salad — that’s what I live on the whole fall!! I have tried your banana ricotta pancakes and naan — they are the BOMB, totally agree!! Happy New Year and thank you for the wonderful blog, i don’t know any other blogger that is so dedicated, it’s crazy and amazing that you can post every day! Yum! I want to make all of these recipes!